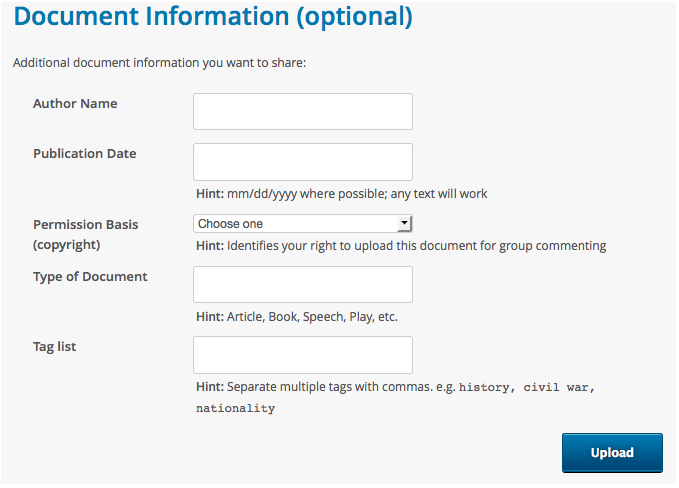 While uploading the document — click any of the blue “Add Document Properties” or “Add Time Controls” or “Add Document Information” buttons next to the Upload button. At any later time — go to either the document&apos;s My Library listing and click “Edit Properties” from the “Options” menu, or while viewing the document click the “Properties/Access Dates” option from the “More” menu. 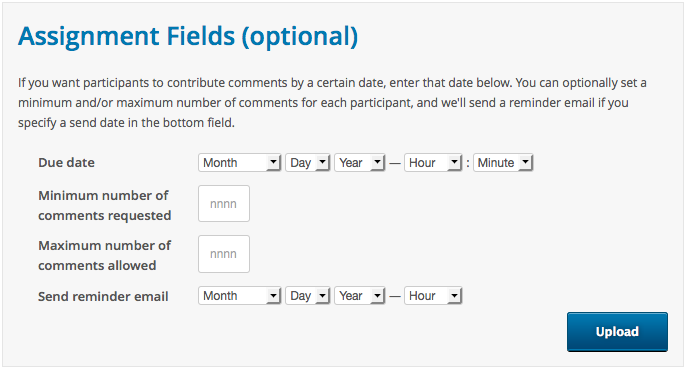 Assignment Fields let you request minimum and maximum numbers of comments from each user and (optionally) set a due date and have a reminder email sent at a certain date and time. 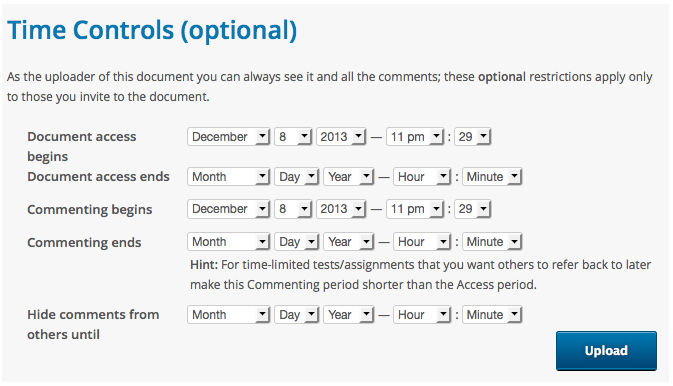 Time Controls that control when others can see the document, can post comments to it, and whether you want to hide other people&apos;s comments from each other (the document uploader can always see and access everything about the document).